Get Your Copy of THE Magazine for RVA Weddings! 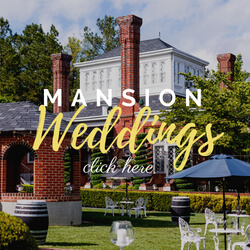 Your #1 Resource for RVA Weddings! Richmond Weddings™ is the area’s longest running wedding publication. It is the primary resource for engaged couples in Richmond and Central Virginia. 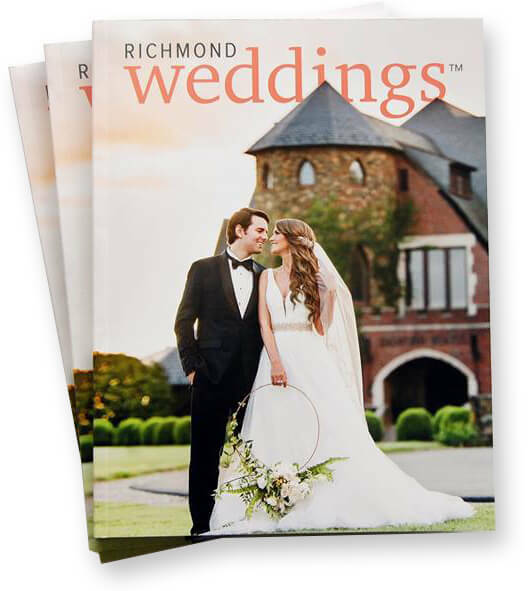 Richmond Weddings™ (formerly The Wedding Guide) has been helping Richmond and Central Virginia businesses promote their wedding services for over 29 years through advertising, marketing, and wedding shows. If you are engaged, this is your must-have planning tool! Our magazine is full of fresh ideas, inspiration, helpful checklists, and advice from real wedding experts, as well as gorgeous featured weddings from right here RVA. Plus, you’ll find all sorts of special discounts that our vendors offer if you mention or bring in their ad in Richmond Weddings. If you would like to read the most recent issue, you may get the free online desktop or mobile version. You may also purchase it by clicking on the link below or at Barnes & Noble, or pick up a complimentary copy at our office or show on September 15, 2019 and at many locations including the ones listed here.